Description of "An Odyssey Through Philosophy of Mind"
This book is fully colored. 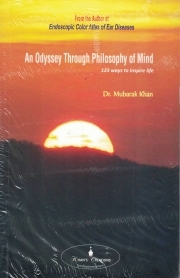 The book contains 123 original philosophical quotes of Dr Mubarak Khan which conveys inspiration, inspiration and only inspiration. every quote is printed on full color photos taken by author worldwide. Author has already sold 200 copies on facebook. Reviews of "An Odyssey Through Philosophy of Mind"